June 9, 2011 - no comments. Posted by Larz in Production, The Art Hustle 2. 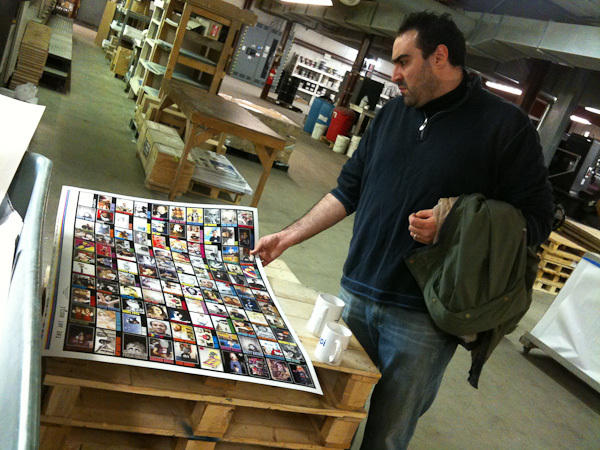 Simeon from CardHacks was up from New York, to do a press check for the card printing. 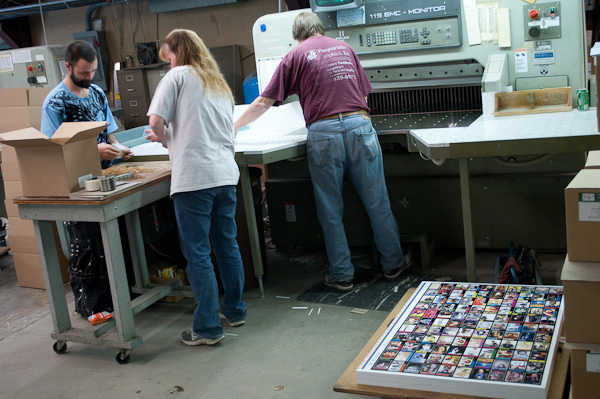 Examining the first sheet off the press. 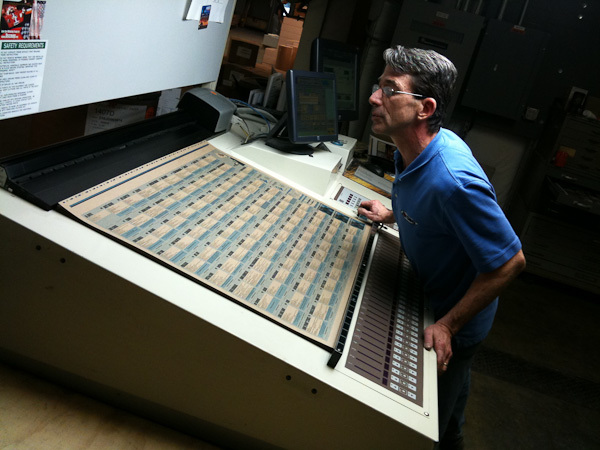 Pressman checking the color and registration. 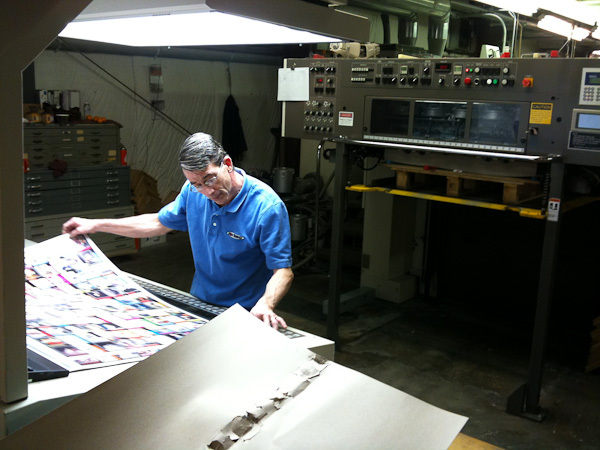 Printed on front side only, the pressman now preps the sheets for printing the reverse side. Corners are curled, and the entire stack is flipped over. First sheet of back printing, last check before hitting the go button. Finished sheets are now cut into individual cards. 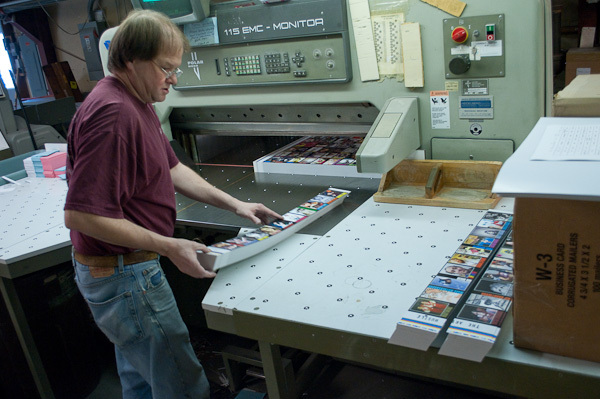 about 200 sheets cut at a time, and each final card stack is called a “lift”. The shop took great care of us, mounting a fresh new blade on the cutter just for our run. Lifts are packed into cartons for shipping to the SideKick Lab. 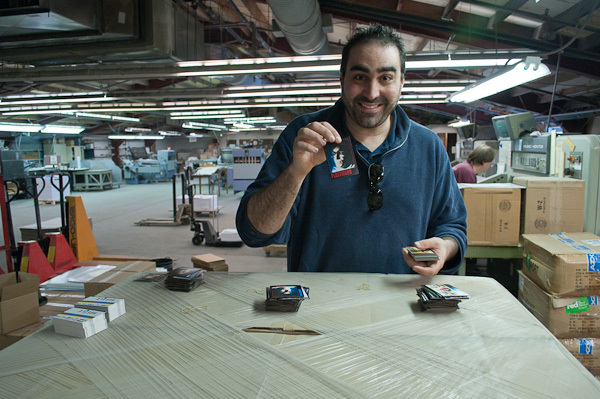 Simeon is pleased with the finished cards.